At Rose Gynecology, our Cincinnati gynecologists are firm believers that caring for a woman requires a personalized approach. Therefore, our team takes great pride in creating a plan of care that is ideal for each patient’s individual needs. Rose Gynecology uses a blend of cutting-edge technology and top-notch patient care to deliver maximum value for every woman that steps foot in our office. Our gynecologists in Cincinnati, OH offer a diverse array of services ranging from diagnostics and surgical therapy to health maintenances, gynecological disorder treatments, and preventive care. Menopause counseling, IUDs, pelvic ultrasounds, fibroid management, colposcopy exams, bladder incontinence, and diagnostic hysteroscopy are some of the many services and procedures we excel in. Board certified gynecologist, Dr. Rose has 17 years of experience in Obstetrics and Gynecology. Dr. Rose is especially interested in minimally invasive surgery, vulvar disorders, and sexual health. Formerly, Dr. Rose was an Assistant Professor at the University of Cincinnati in the Department of Obstetrics and Gynecology where she shared her wealth of gynecology knowledge with both medical students and residents. She is also one of the first female gynecologists trained in robotic surgery in Cincinnati. Jennifer Hill, board certified Women’s Health Nurse Practitioner brings over 25 years of nursing experience to Rose Gynecology. Jennifer earned both her Associate and Bachelor degrees in Nursing from Miami University and an MSN from Frontier Nursing University. She has a strong passion for caring for women of every age. She has a special interest in Menopause counseling. She is a Certified Menopause Practitioner. A designation she earned from the prestigious North American Menopause Society(NAMS). When searching for gynecologists in Cincinnati, it’s important to find out what forms of payment are accepted at each practice. Fortunately, Rose Gynecology accepts a variety of insurance plans to make it affordable for women to care for their bodies and minds. Some of the most common forms of insurance that we accept include BCBS, UHC, Cigna, Medical Mutual, Health Span, Tri Care, Medicare, and Aetna. Cincinnati woman can determine if their insurance is accepted by visiting our complete list of accepted insurance plans. Rose Gynecology cares for adolescent women as well as those transitioning into the menopausal years and beyond. 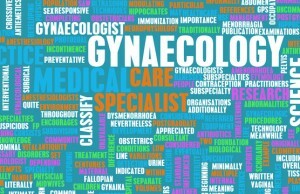 If you’re searching for gynecologists in Cincinnati, Rose Gynecology is the optimal choice. When you visit our office, you can expect revolutionary medical care in a compassionate and comfortable environment. Request an appointment or call us at 513-321-7673 for more information. We are available Monday through Friday from 8:00 a.m. to 5:00 p.m. and happy to answer your questions and address any concerns.